Knowing how to study properly takes practice, and this is especially true when students are working on academic texts. However, the way we read in this digital age and thus how we understand texts and generate knowledge has changed. 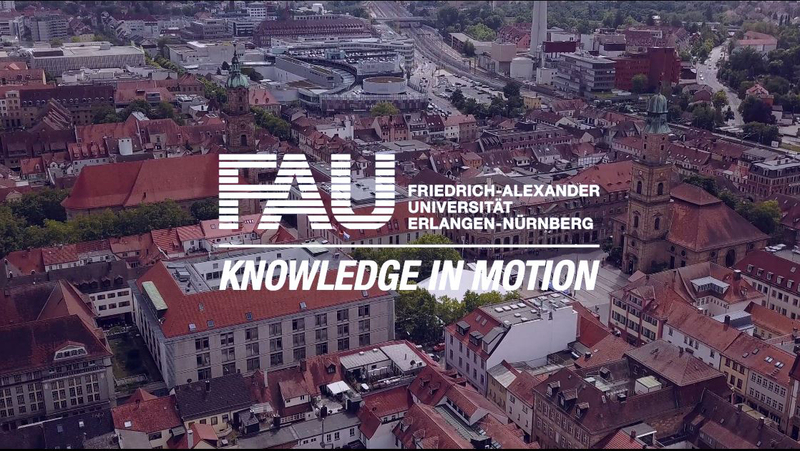 Researchers at Carl von Ossietzky Universität Oldenburg and FAU are now researching how to innovatively design university-level teaching in this digital age. This research project, which will result in a coaching concept for students, is being funded by a grant worth 30,000 euros from the Stifteverband and the DATEV Foundation as part of the ‘Fellowships for Innovation in University Teaching’ programme. Longer texts are important sources for acquiring knowledge and improving one’s education. Identifying the most important sections of an academic text, creating connections, arranging and evaluating what’s being read and its meaning in the context of other texts and drawing conclusions are all skills that are vital to university-level education. However, both university lecturers and students are currently experiencing a discrepancy between reading skills learned in everyday situations and the requirements of university teaching – that is, key qualifications and reading skills relevant to university. ‘Growing up in a world full of diverse digital media leads to a general change in media usage and thus to a change in reading behaviour’, says Dr. Axel Kuhn, lecturer in Book Studies and reading researcher at FAU. Younger generations, for example, learn how to read more intensively in ways that are geared towards searching for information or gaining a quick overview of the content of texts. Information that can be quickly gathered in this way from the depths of the internet is not comparable to the knowledge acquired from reading, which is what future academics require. Dealing with this change is the subject of research being conducted by Dr. Axel Kuhn in collaboration with Dr. Christian Fritz-Hoffmann, who is an expert in teaching methodology for social sciences at the University of Oldenburg. ‘During the course of two semesters in our research project, we would like to enable students to reflect upon their own reading behaviour’, says Kuhn, ‘because students often have to learn how to read again when they come to university’. In accordance with students’ current media usage habits where content is accessed and uploaded digitally, the researchers are using the ‘Reader Analytics’ tool for the first time ever in university-level teaching. Up to now, the tool has only been used in the private sector, for example in publishing houses. Using mobile reading devices and the relevant software, students’ reading habits and reading processes will be recorded in detail – for example, at which times of day and in which locations or in which situations do the students read texts for their studies? At which points do they stop reading, or take a particularly long time to read or where do they skip over parts of the text? How and what do they mark or comment? And last but not least, how does reading behaviour affect text comprehension? A further step will involve drawing up a coaching concept for students. ‘The students learn how to read for university, how to plan and use reading and how to evaluate and monitor it via Reader Analytics’, explains Kuhn. The concept also includes basic knowledge of the General Data Protection Regulation and personal rights as laid down in the German Constitution. Knowledge from various areas such as teaching methodology, reading research, university teaching methodology and computer science is being incorporated in the interdisciplinary project, which has the title ‘Reader Analytics as a strategic learning tool in the critical reflection of students’ own reading behaviour during their studies’. ‘The intention is to enable students to better evaluate and assess their own reading behaviour without the use of external control mechanisms’, says Kuhn. In addition, the researchers intend to develop tools that enable users to develop reading skills independently. After the project has been completed, its practical findings are going to be implemented in compulsory elective courses at the beginning of Bachelor’s degree programmes. The ‘Reader Analytics as a strategic learning tool in the critical reflection of students’ own reading behaviour during their studies’ project is being funded as a Tandem Fellowship with a grant worth 30,000 euros from the Stifteverband and the DATEV Foundation. As part of the ‘Fellowships for Innovations in University Teaching’, the project was selected as one of twelve exemplary concepts for further developing and improving the quality of university teaching from more than 100 submitted ideas.